Yesterday I returned from a three day Aerial photography trip to the Wadden islands with my 1954 Piper Cub aircraft. The Wadden islands are a long chain of small islands in the Northern part of the Netherlands and Germany. Beside some interesting nature aerial work (upcoming Pic(k) of the week), I also used the opportunity to photograph some of the commercial ports, we passed on the way. Below is an image of a Dutch port facility run by Cobelfret at Vlissingen, where thousands of mainly right hand drive Ford cars/vans, are being collected, before being shipped on large RoRo (Roll-on/roll-off) ships to the UK. They come in from different central European car factories on river barges, trucks and trains. 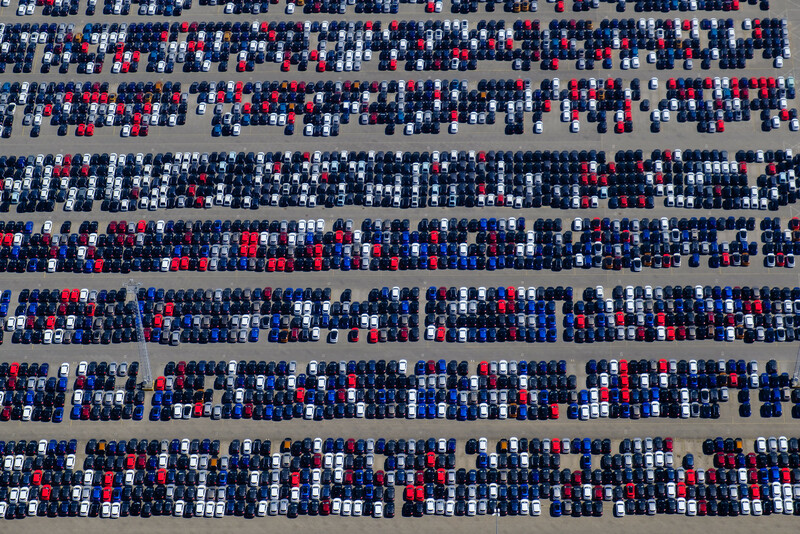 A full parking lot like the one below is a joy to photograph, as it provides great patterns and colours; something that is the main focus point (no pun intended) in my aerial photography! While more of my aerial photography from the latest trip to the Netherlands/Germany will be uploaded over the next few days, I meanwhile invite you to have a look at my previous work here. 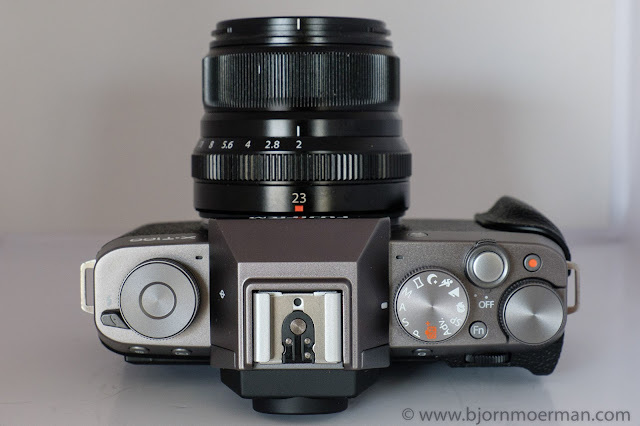 My Landscape camera for the trip was the X-H1, Fujifilm's largest camera in the X-series line. Given I was mainly shooting close to my car, the larger size of the X-H1 did not really bother me. Had this not been the case, I would definitively used my trusty X-T2 instead. The image was shot handheld on the side of the road. Those of you questioning why I did not shoot at a lower ISO given the X-H1 has IBIS (In Body Image stabilization), it is as simple as allowing AUTO ISO to do the job. Yes I could have easily shot at ISO 800, resulting in a 1/80s but given the moment was over in a blink of an eye, I elected play safe and use AUTO ISO instead. Beside shooting at ISO 2500 is no problem on all on the newer X-series cameras. I've noticed that a lot of photographers new to Landscape photography, tend to use lenses in the 24-70mm full frame equivalent range. Especially when shooting vast open fields like the ones found in Val d'Orcia, I do recommend shooting longer glass; the XF50-140 turned out to be a great lens for that. Occasionally I would even use the XF1.4 TC (Teleconverter) when 140mm on a cropped body would not be enough. At least one or two other images from Tuscany will become a Pic(k) of the week. 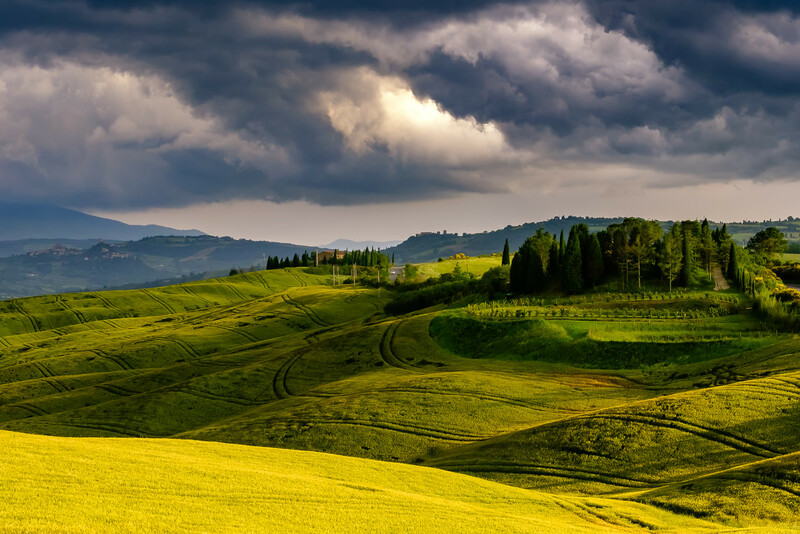 For the ones that can't wait, check out the Tuscany gallery here. The small, entry level X-T100 did however perform very well on the trip; even on some of the Architectural/Travel work. 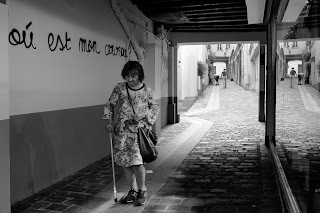 Unfortunately Lightroom and Camera RAW were not able to convert X-T100 RAW files at the time I was traveling. 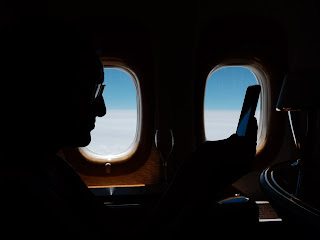 Therefore all of the X-T100 images were in camera jpegs; the main reason I did not want to use it as my main camera for the trip. 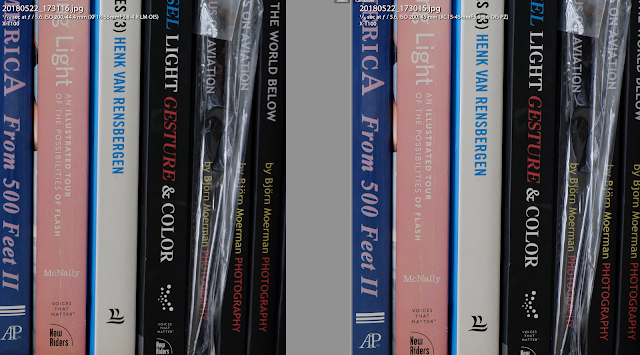 I expect Lightroom to release the X-T100 RAW converter anytime soon now. For the ones interested that missed it, my First Look review of the X-T100 can be found here. 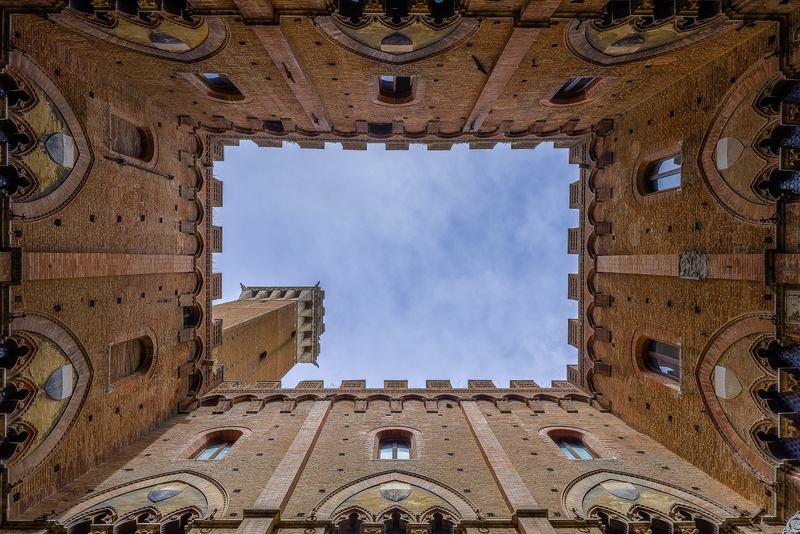 The image below of the 102m Torre del Mangia in Siena, consists of 3 jpeg exposures blended together in Lightroom, using the HDR function. 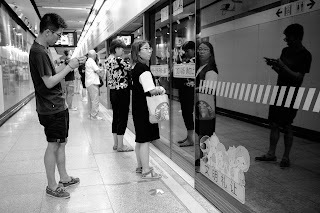 Although I'm a big fan of Fujifilm jpegs for my Street Photography, I rarely edit them. While this was clearly pushing my comfort zone, I am quite happy with the resulting image below! 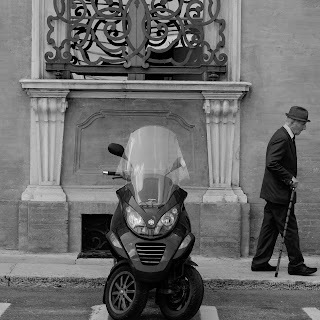 More images shot in Tuscany can be found here. Although the X-T100 and X-H1 are two very different cameras, it was remarkable how I could easily switch from one to the other without hindering the creative process. The Tuscany gallery has images from both and I must say that I personally struggle to see the difference in image quality on most (if no all)! 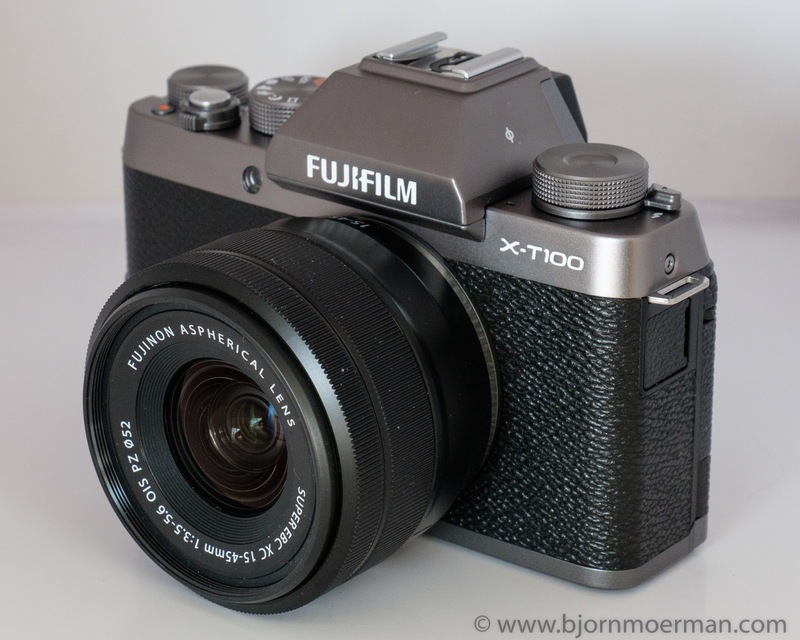 May 24, Fujifilm announced their newest "entry-level X-series camera, the X-T100 ! The X-T100 is what you get if an X-A5 and X-T20 are spending too much time together; while the hardware is similar to the X-T20, the inside (sensor/processor) is close to the X-A5. It is marketed as Fujifilm's entry level, interchangeable lens mirrorless camera with an EVF (Electronic View Finder). It is likely aimed at the ones starting off in photography as well as social media photographers who are into vlogging (video-blogging). Fujifilm Middle East could only provide me with a copy of the camera two days before the announcement date. 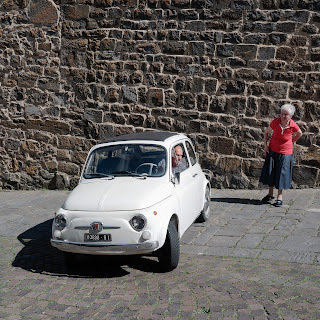 Because of the short notice, I decided to first take the X-T100 on a photography tour around Italy before writing down my personal findings in the review below. The camera provided was pretty much up to final spec (if not completely?) and had a 1.0 firmware version installed. 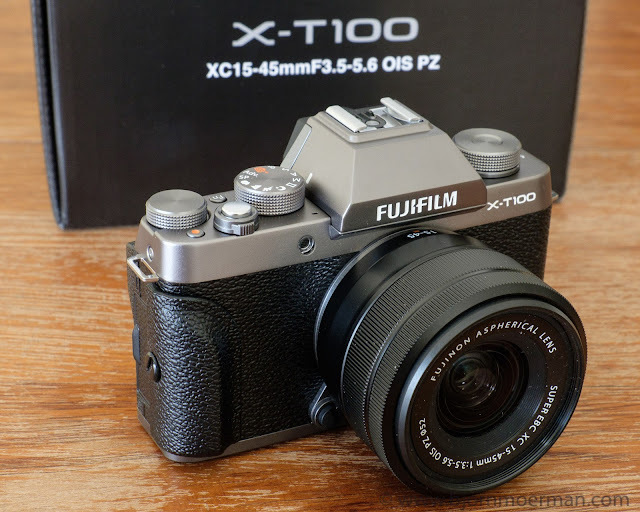 Personally, I find the name for this camera a little confusing; X-T100 is really close to X-100T, the predecessor of the X-100F and part of a complete different line of X-series cameras. As it is close to the X-T20 in a lot of ways, X-T200 might have worked better. Slightly heavier and larger than the X-T20, the camera feels solid and sturdy and not plasticky like its predecessor the X-A5. For the ones that pay attention to these things, the serial number plate shows that the camera is being made in Indonesia. 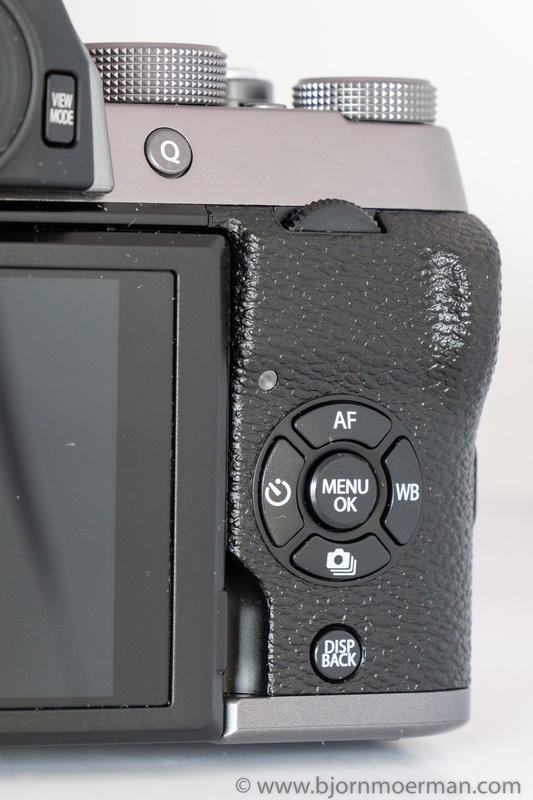 For better handholding, the camera comes with a small additional side-grip which can be easily added with the provided screw. I did most of the shooting with the grip installed and initially thought that it should have been installed permanently in the first place. But then I thought about possible third party (or Fujifilm made) accessories that could use the same attachment point. So maybe it is not a bad idea overall. The shutter button is not treaded like on the X-T20/X-T2; so no optional soft shutter release buttons. Having said the shutter as is, feels fine. The camera comes in three different versions, a black, champagne gold and dark silver one. I tested the latter one which is from a pure esthetic standpoint also my favorite one. 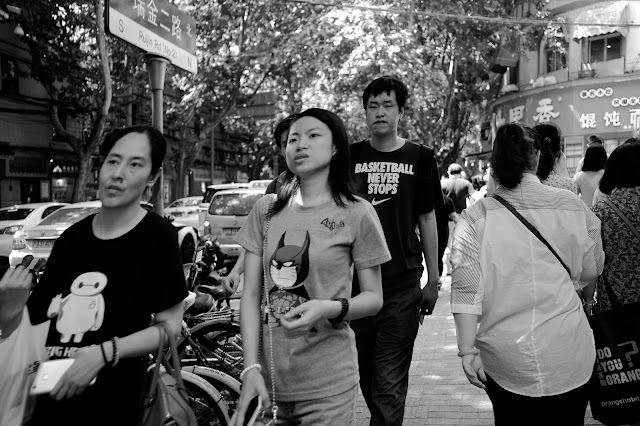 If one wants to blend in for Street Photography, black is however the way to go! I am not a fan of the older style buttons, especially the 4-way D-pad controller, which for me is too much recessed (medium male Western hands); reminds me of the original X-T1. Females or males with smaller hands, might have less issues with it. The D-pad can not be customized; what you see is what you get. The rear command dial, sits under an unusual 90 degree offset; something that initially I wasn't a big fan of, but to which I eventually adapted. Unfortunately the command dial can not be customized as a function button. Because the camera is an entry level body, the mode dial has a variety of automatic modes such as Night, Sport, Portrait, and a clever SR Auto mode where it automatically recognizes scene and subjects. Not something I would personally use, but fun to test! I'm a strong believer that anybody who wants to seriously learn photography, is better off by using semi-manual modes like Aperture and Shutter speed priority; needless to say that these modes are obviously available as well. The two top dials at the left and right edge of the camera, have no specific markings on them. This make sense, as they are multi-purpose. The left one can be programmed to a gamut of different items; my favorite one being ISO as this is how it is on most other X-series cameras. The top right dial is dedicated to exposure compensation in pretty much all modes expect M (Manual) where it becomes the shutter speed selection. Although I personally prefer a dedicated Shutter speed dial like on my X-T20, it is not a bad overall system! Unlike the X-A5, the X-T100 has an Electronic View Finder (EVF), which is exactly the same as the EVF found on the X-T20. Its 0.62x magnification is ample for normal shooting. Comparing it to the higher quality X-T2 or X-H1 EVF's is not fair, as its price point is much lower than these two top end cameras. The 3 inch 1040K dot, touch LCD screen resolution is the same as the X-T20, with two differences; the X-T100 screen has a unique 3-way 180 degree tilting design, allowing for selfies and vlogging. 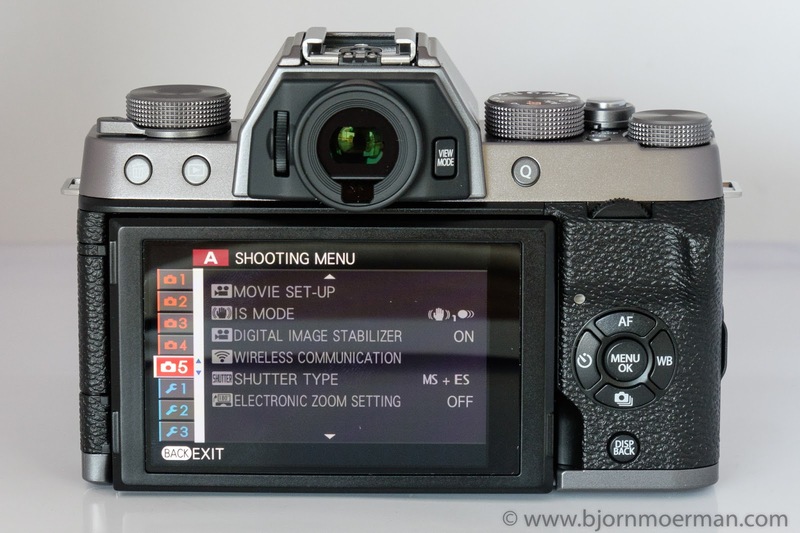 Secondly, the X-T100 has the new flick gesture controls, we first saw being implemented on the X-E3. This allows a left/right/up/down swipe to programmed to specific menu items and action like a function button. Like the X-T20, the touchscreen can be used to select the auto-focus point while actively looking through the viewfinder. I did find the touchscreen probably just a little less responsive compared to the X-T20; possibly because of the slower processor installed in the camera. I was surprised to see the older style menu in the X-T100; although workable, I prefer the newer interface of the menu system. It would be nice to have a similar layout across all new X-series cameras, so people moving up in the camera line all have the same experience. Not sure if that has anything to do with the slower processor or if it could be rectified in a firmware update. Some items which are unique to the X-T100 (at least for now) in the drive menu are 4K Burst mode and Multi Focus mode. Both are using 4K Video for still images. The first one records a short 4K clip (at 15fps) and allows the photographer to choose a specific frame after the burst is taken. Needless to say that the output image is limited by the 4K video and will not be a full 24Mpx image. Multi Focus mode, takes several images at different focus distances in a 5 second video clip and then blends them together. One needs to use a tripod in order to have reasonable results with this. Especially for close-up shots, this is something that might come in handy, although it doesn't always seems to do a great job. I personally prefer to do the focus stacking myself in post-processing in order to use the full resolution of the camera. As you are basically shooting a video file, it will only work if you have a fast enough shutter speed; faster than 1/15s. When this is not the case and your lens is wide open (largest aperture), bumping up the ISO is the only other option. The processing of the final image takes a considerable amount of time; easily more than 2 mins for a single image. 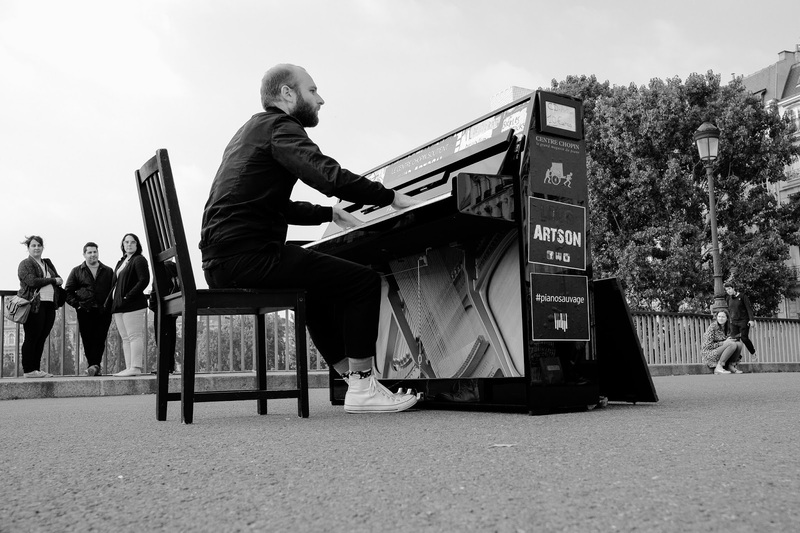 Below is the final image of a test shot which is only about 6Mpx (4K video extract). One can see the focus stacking is not perfect at the edges, but "useable". Because the screen can be flipped to the side by 180 degrees to make selfies or group-shots, the camera has several different new self-timer modes such as Face auto shutter, smile, buddy and group shot shutter release. All seem to be working reasonably well. Like the X-T20 (and X-T2, X-Pro2, X-E3), the X-T100 has a 24Mpx APS-C CMOS sensor but thats where the similarity ends. While most of the other X-series cameras have the X-Trans sensor technology which is supposed to have a higher "perceived resolution", the X-T100 has a classic bayer pattern sensor. I did shoot a few test images with both the X-T20 and X-T10 using the XF18-55 lens and default jpeg settings. Below are a couple of screenshots zoomed in at 100% to check for sharpness and noise. At the minimum ISO 200 setting, as expected the X-T20 images are slightly sharper as can be seen below. Bumping up the ISO to 6400, the difference is less pronounced. I must say that I'm impressed about the high ISO performance of this non X-Trans sensor. To me it is virtually on par with the X-Trans at ISO 6400 and above. Unlike the X-T20 and most of the other recent X-series (except X-A5), the X-T100 does not allow for lossless compressed shooting in RAW; something I consistently use on all of my cameras as I don't see a difference in quality. 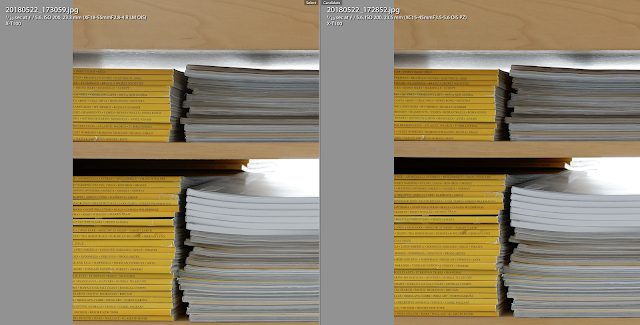 A standard RAW file like on the X-T100 is considerable larger in size (not quality). 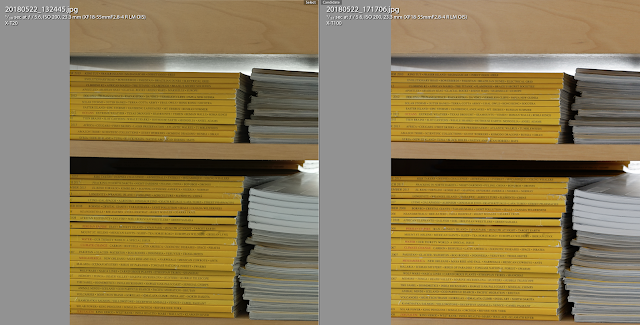 A quick comparison using the same scene and settings shows a 43.5MB file size for the X-T100 versus 26.5MB for a lossless compressed file on the X-T20. Interestingly the average jpeg sizes are slightly larger than the X-T20; 11MB versus 14MB for the X-T100. For you jpeg shooters, the X-T100 comes with most of the great Film Simulations like; Provia, Velvia, Astia, Pro Neg Hi and Pro Neg Standard, Monochrome (with different colour filters) and luckily Classic Chrome; my favourite Street Photography colour Film Simulation. Unfortunately the great Acros Black and White is not available as more powerful image processor is needed to create these. Consequently items like adding grain effect is not available as well. Like all of the recent Fujifilm X-series cameras, the X-T100 can be set to Electronic Shutter only; this makes the camera 100% silent; handy for street shooting. Like the other cameras, when shooting moving subjects, the ES (Electronic Shutter) can suffer from "rolling shutter' distortion effects and this is why both Mechanical and Electronic shutter are available. Somehow the distortion seems to be more pronounced on the X-T100 compared to the X-Trans sensor cameras. 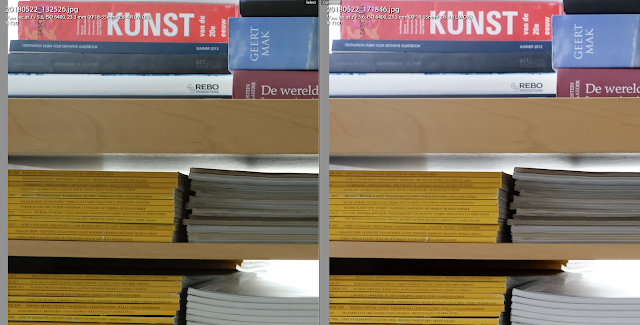 Below is a sample image (with XF23 f2 lens, under daylight conditions) where the effect is noticeable; although not very strong. The auto-focus (AF) speed comes for a large part from the processor installed in the camera. The X-T100 processor, is not the advanced X-Processor Pro we know from the X-T20, X-T2 and X-Pro2. In line for a camera at this price point the auto-focus is "fast enough" both in AF-S and AF-C, but there is a clear difference in auto-focus speed; especially when shooting in low light conditions. Overal I find the AF speed to be somewhere between the X-A5 and X-T20. An extensive Face and Eye detection menu is available and does an OK job. When I first saw the LCD screen that rotates through 180 degrees, my first thought was, this is a perfect vlogging camera! While it still holds true, a few items seem to be missing. First the 4K video is limited to 15fps, which is ok if you are videoing your granddad in his rocking chair but too slow if shooting your kids at a soccer game. There is of course 1080p (Full HD) which is plenty for most (if not all) consumers. Secondly the microphone jack is 2.5mm while most of the external microphones are of the 3.5mm standard. A cheap mic adapter will be needed to do the conversion job. Even when the screen is tilted 180 degrees to the side, the mic jack remains fully accessible between the actual screen and the screen plate behind it. Harder to describe than to do. The X-T100 comes with a NP-W126S Lion battery which is good for over 400 images; a realistic number I managed to achieve myself, even when leaving Bluetooth on all the time. Somehow I have a feeling, that the classic Bayern sensor draws less power than the X-Trans sensors but that is definitively not academically proven. Interestingly enough the camera does not come with a separate battery charger, but with a small wall USB to camera charger which works just fine. 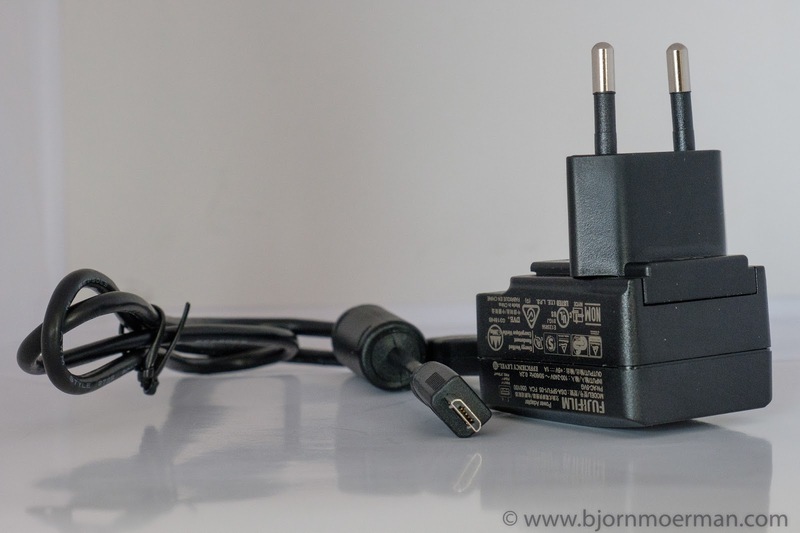 One can of course pick up a separate battery charger, similar to the ones provided with the X-T20, X-T2, X-Pro2, X-100F. The remaining battery capacity is only shown with a 3 bar battery symbol; no digital read-out like on the X-T20. I'm guessing this is probably part of the older menu system. Not sure if a future firmware upgrade could add a digital readout which is much more useful. Unless the very first X-series where the battery had a history of almost instantly dropping from one bar to empty, this is not the case here. 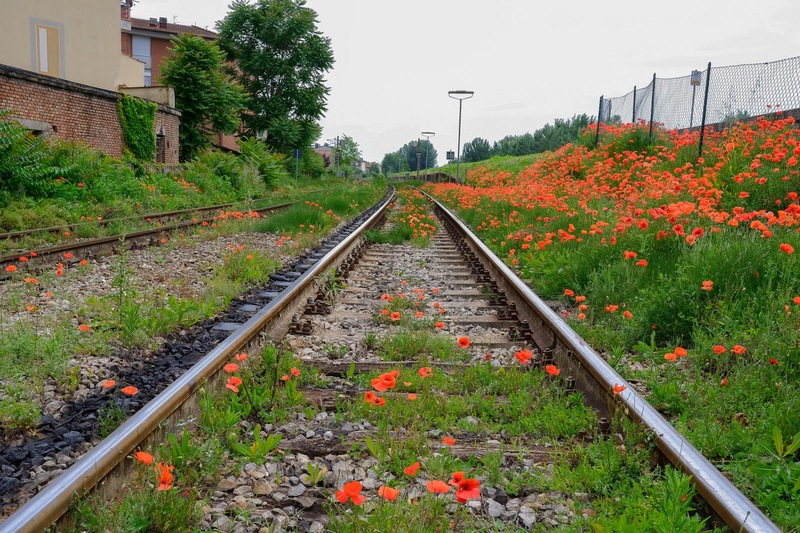 An entry level camera like the X-T100 will mostly be used by the younger generation, which has been brought up in a social media era. Good connectivity is a must and the camera doesn't disappoint. Like the top of the line X-H1 and X-E3, Bluetooth is used to pair the camera with smart phones and/or tablets, while the actual image transfer is still done through WiFi. While life Geotagging (embedding the present position in the image file) is available, I didn't find it to be always 100% reliable. It would occasionally drop out, needing to restart the Fujifilm Remote app on my phone in order to receive updated positions. 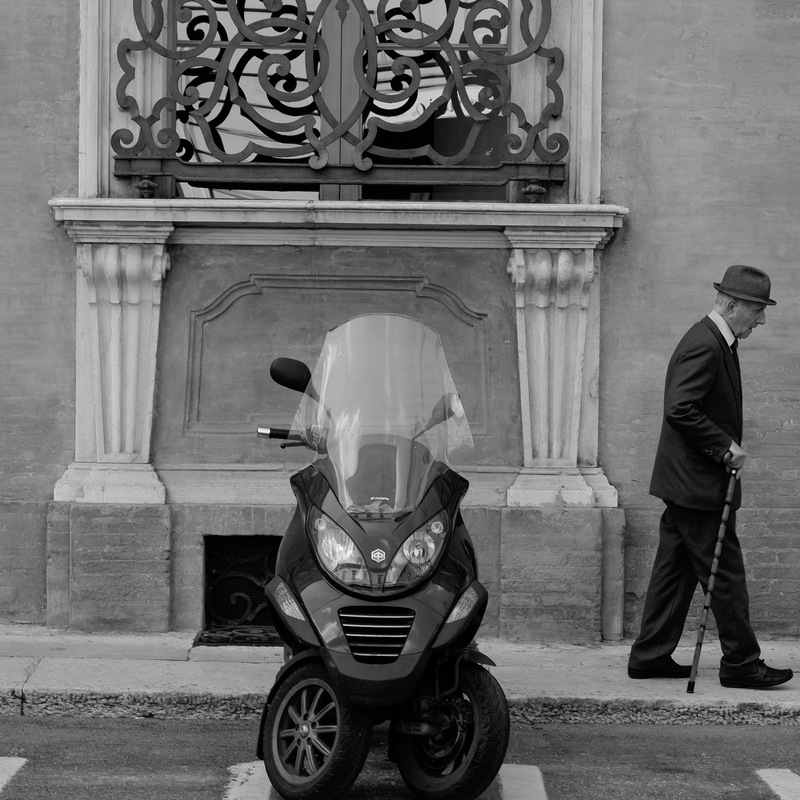 I've noticed the same on a X-H1, I was carrying on the Italy trip. What I'm really looking for is a one stop solution where one starts the Remote app once you go out and end when the shoot is finished. Although much better than initially, still some work in process here Fujifilm on making the geotagging more stable and reliable. The camera is fully compatible with the Fujifilm Instax Share printers; something I love to do when out and about! 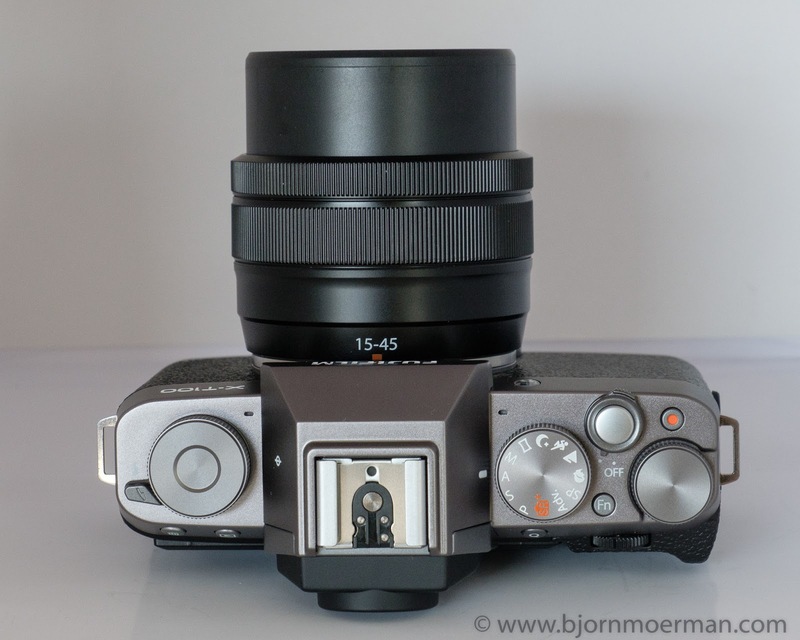 The X-T100 comes as either a body only option or with the new XC 15-45 kitlens. As the combo with lens is only 100,-USD more expensive, it is a no brainer which one to buy, as the lens by itself sells for 300,-USD. One should easily be able to sell the lens on the second hand market, if upgrading to more expensive glass later on. It comes in both black or silver colour. Without wanting to look down on the XC lenses (lower budget lenses), I must admit that I was a bit skeptical since I've not shot anything else than the higher quality XF lenses on the Fujifilm system. On the pro side the XC 15-45 weighs in very light at 136gr and is compact. It does however feel (and is) a bit plasticky; compared to the XF lenses; especially the manual focus ring feels cheap. 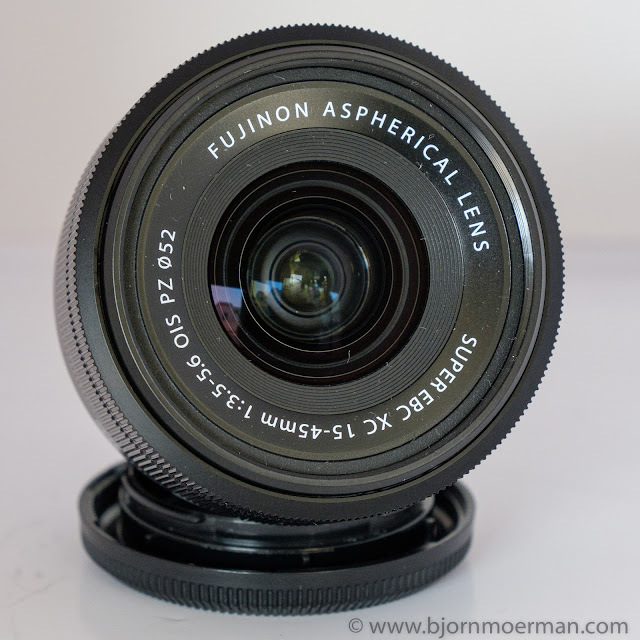 It is Optically Stabilised (OIS) and is Fujifilm's first Power Zoom (PZ) lens. It did find the lens being quite noisy when zooming. Beside I found fine tuning a zoom selection would not always be possible as it seems to stop at pre-determined focal lengths. The lens does remember the last focal length when powering down which is a nice feature. Optically the lens is however actually pretty good for its price point. Below are a few comparison images between the XC 15-45 and my beloved XF18-55 lens, all shot at the same f 5.6 aperture. The only focal length where it is a bit soft at the edges, is close to its widest range. 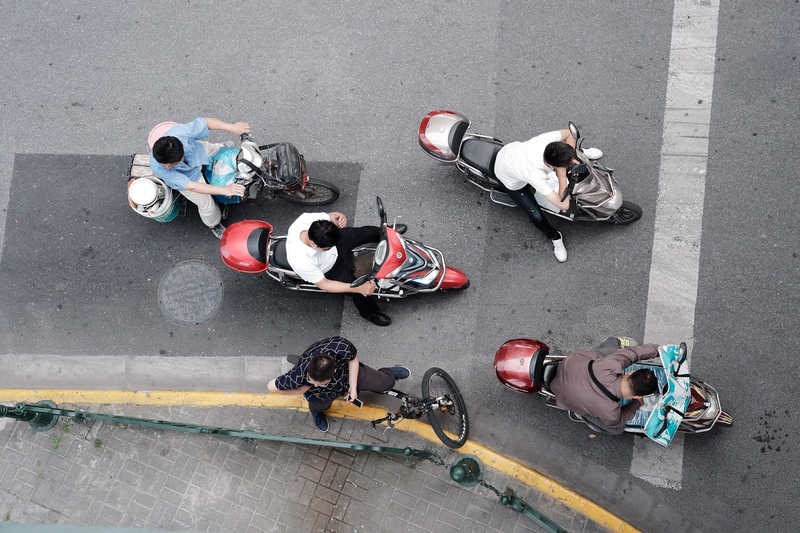 The shot below was done around 18mm, since this is where the XF18-55 is at its widest range. Click on the images below for a full size view. In a mid focal range, the lens is pretty much on par with the XF18-55 which is known asa very high quality kit-lens. Interestingly, at 45mm the XC 15-45mm is slightly sharper than the XF 18-55; something I in all honesty did not expect! So to summarize, a lens that feels a bit cheap, but one that definitely is good from an image quality standpoint! 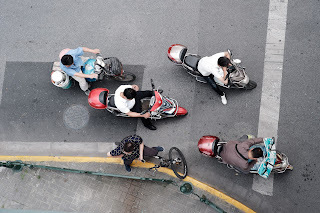 Click on the individual image to see a full screen view. Images are all in camera jpegs (minimal editing) using mostly Black and White (Yellow) and Classic Chrome Film Simulation. 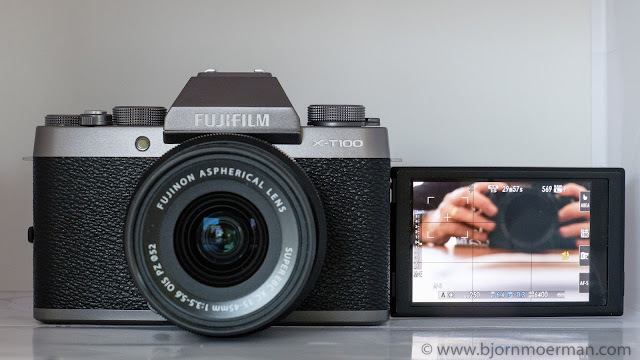 As stated at the start of the review, I see the X-T100 mainly for people that want to take their smart phone photography to the next level and for that the camera is a great proposition! As an entry-level camera it provides the new photographer with a retro style X-series experience with most of the bell and whistles of the higher end cameras, all for a reasonable price. People that are into vlogging, might like the X-T100, as long as they don't have the need for 4K video as most will find the 15fps 4K too slow of a frame rate when moving around. The fact that the camera has a slower (and cheaper) processor than the more expensive X-series cameras, does affect the overall shooting experience; especially if you have something to compare it to. But then again, the price difference is there for a reason. With regards to Image quality, I'm very impressed with this non X-Trans sensor. Personally I'm not a real fan of the XC15-45mm lens, however I must admit that the image quality really surprised me in a good way. If you want a better shooting experience with the X-T100, consider getting the XF18-55 lens or even one of the f2 prime lenses (XF23, XF35 or XF 50 f2). You won't be disappointed. So overall this camera is a great entry into the X-series, especially given he price point; 599,USD body only and 699,-USD body+ XC15-45 lens. It should be available in your camera store over the next few weeks. For more experienced photographers, I would recommend looking into the X-T20 or X-E3 as an entry level into the system. 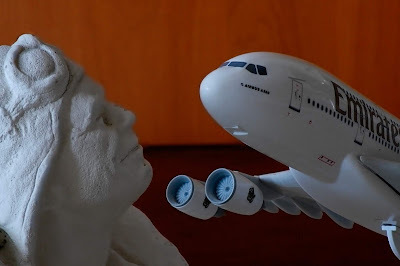 Most people are familiar with the top three Italian tourist cities; Rome, Venice and Florence. Far fewer know what Ravenna has to offer! A city that has not one but eight UNESCO World Heritage sites, Ravenna has several renown churches with amazing mosaics and paintings. The city which was the capital of the Western Roman Empire from 402 til 476 and then of Byzantine Italy till the 8th century. 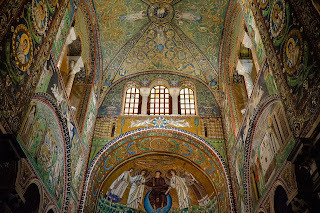 As part of a weeklong photography tour around Northern Italy, I recently stayed one night in Ravenna to check out the most important sites! The top 5 of the World Heritage sites can be visited for a nominal fee of 11,-EUR; a great deal! 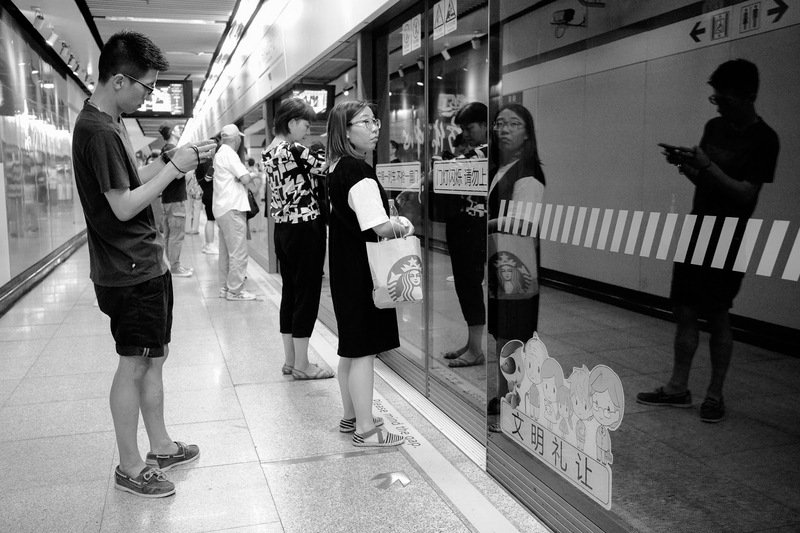 If possible try to visit a couple of hours before closing (normally 7pm) to avoid the larger crowds. 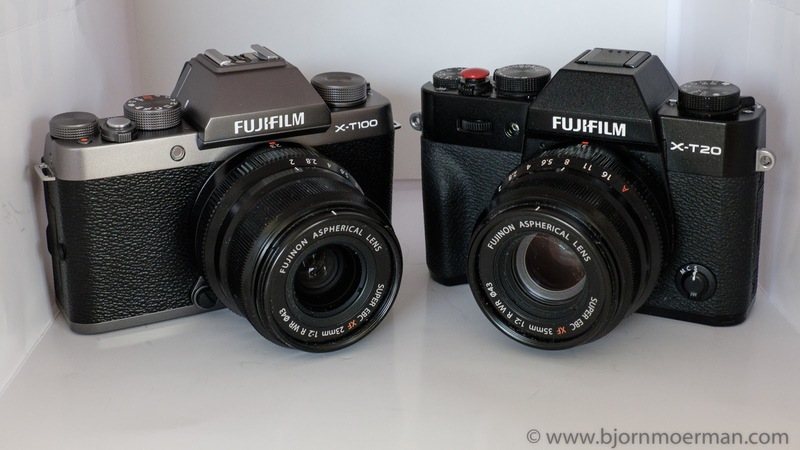 I took two Fujifilm cameras on the trip; the first one was brand-new and part of an upcoming review, the X-T100; while the second one was an X-H1, my Landscape camera. One would think that the IBIS (In Body Image Stabilization) of the X-H1 would be essential to shoot low light images without a tripod. While the X-H1 definitively allowed me to shoot handheld at a lower shutter speed, the small 700,-USD X-T100 did a remarkable job as can be seen in the image below. Expect a full First Look review on the X-T100 within the next week. Back to the image which was shot at the Basilica San Vitale; hard to believe that all of the mosaics are almost 1500 years old! And we photographers are worried that a digital image file might not open on our computers in 50 or 100 years from now! For the ones wondering why I shot the image at a relatively high shutter speed of 1/320s, I left the camera in AUTO ISO (set at max 3200) as I wanted to see its higher ISO capability in a variety of scenes. Overall I've been impressed with the image quality of the non X-Trans sensor of the X-T100 which will be part of my upcoming review on the new camera. 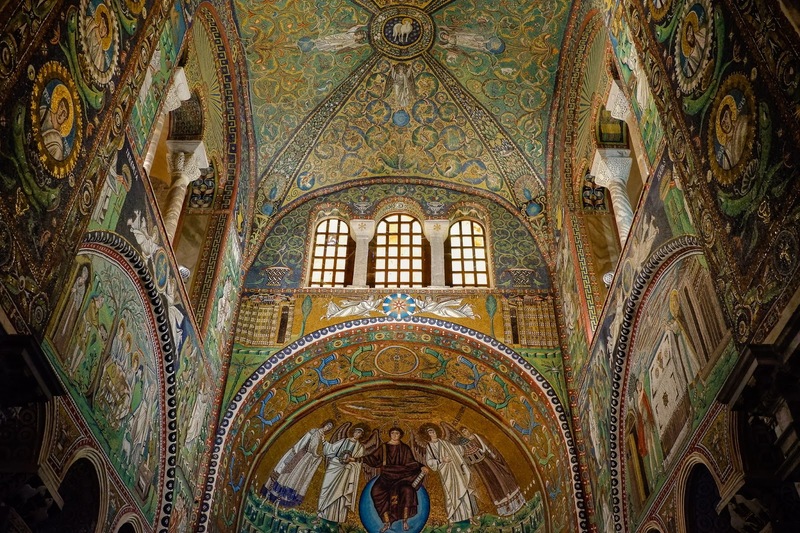 Meanwhile, more images, with a mix of X-H1 and X-T100 images from Ravenna can be found here. It is interesting to see that images from both cameras, with a very different sensor, blend in quite well together.